Reigning world champion Valentino Rossi has told MCN he hopes the new MotoGP season will deliver the excitement and thrills craved by fans. But the 30-year-old Fiat Yamaha rider, who starts the defence of his world title in Qatar on Sunday night, fears a repeat of many of the dull races witnessed in the 800cc era. Since the introduction of the 800cc four-strokes in 2007, MotoGP racing has been much less of a spectacle with some races even branded boring by the likes of Italian Rossi and his rivals. Last year’s Valencia race to close the 2008 campaign was such a dull affair that Rossi was moved to suggest a head-to-head World Superbike showdown with Troy Bayliss. It is hoped the introduction of the single tyre rule will help level out the playing field and make the competition closer. But Casey Stoner has dominated in winter testing and it has been the usual suspects like the Aussie and Rossi slugging it out at the top of the timesheets. It is clear too where Rossi, winner of 97 world championship races, lays the blame for MotoGP losing much of its spectacular action. He told MCN: “I think to move from 990cc to 800cc was the biggest mistake of MotoGP, maybe also for the costs because the 990cc engines were cheaper. "If the problem was the speed of the 990s, you put air restrictors or less rpm and for sure it is possible to go slower at the end of the straight. "It was a fantastic bike compared to the 800, and for sure this type of bike brings a lot of boring races. You have to ride in another way and overtaking becomes more difficult, and it was better with the 990s. "I hope to have some better racing. I think with the mono tyre everybody is in the same situation, so when you start a race you have more riders fighting for the victory. Rossi said the problem created by the new 800s was perfectly demonstrated during the final winter test in Jerez last month when he encountered Ducati rookie Niccolo Canepa. “It is a difficult problem to fix. After one month without riding the bike, I went on the track in Jerez and it was like you go in fast forward mode. Now the bike and the tyres provide us with incredible corner speed. Compared with 2006 and the last year of 990s with Michelin, now the speed in the corner is double. This means less overtaking and less battles and less of a show. This year everybody is on the same tyres. Five years ago in Jerez there were five points in a lap where you could overtake, now maybe two. 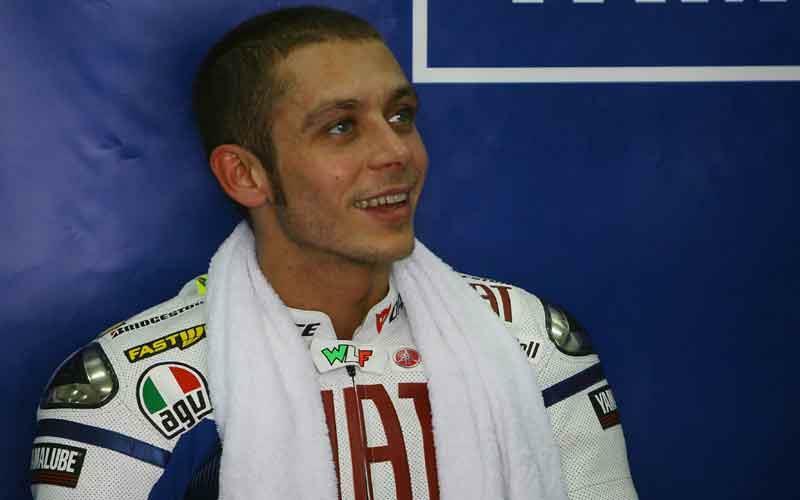 For example, I was behind Canepa and he was slower than me and to overtake him I had to push very, very hard, “said Rossi. New factory Ducati recruit Nicky Hayden also blames the style of the 800cc bikes for hurting the spectacle. Do you think the racing in MotoGP will be more exciting in 2009? Post a comment below.